Do I Need Landline Phone For ADT Security Alarm System? Do I Need Landline Phone for an ADT® Monitored Security System? 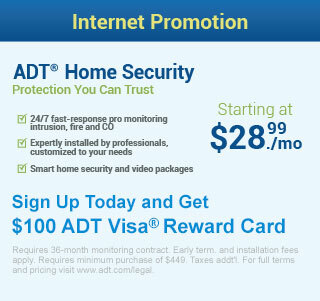 ADT monitored Basic package $36.99/ month does require a landline phone. ADT monitored CellGuard package $48.99/ month and ADT Pulse package with CellGuard $52.99/ month do not require a landline phone to work. To compare ADT monitoring packages, visit our Packages and Pricing page. When you have a landline, your phone line is susceptible to being cut. This can happen by accident, perhaps if your neighbor is digging up their yard to put a garden in. On a more serious note, a burglar could easily snip your phone line outside your house, thereby rendering your home security system useless. With ADT monitored home security packages that include CellGuard, these threats to your safety are eliminated. Traditional landline phone lines can take up to 4x longer than signals sent via cellular communications to reach ADT’s central monitoring stations. Statistics show that home security systems sending a signal over a landline take 26 seconds to dial up and connect to a monitoring station. 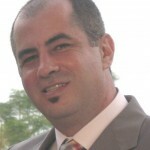 Whereas, it only takes 6 seconds to make a connection over cellular service. In emergency situations where seconds count, making 20 seconds faster can mean the difference between life and death. If you choose a home security package that requires a landline, you will need to place a service call to ADT in the event you decide to change your home phone service provider in the future. That’s because the hookup is different based on the type of landline you have. Plus, if you decide to follow the trend of most homeowners and eliminate your landline phone in the future, you won’t have to worry about paying ($400 – $600) to upgrade your home security package in the future. While having a landline phone allows you to invest in a less expensive home security package up front, we believe the benefits of having a home security package that works with cell service is the better long-term choice. You’ll enjoy greater flexibility and be offering your family a higher level of protection against burglars and emergencies. To speak with an ADT Authorized Premier Provider representative now, call 1-866-946-8419 or contact us with any additional questions. “If you just want the cheapest ADT monitored home security package with basic protection, then you’re going to need a landline phone to operate it. This might make sense for you if you already have a phone line installed in your house. These days, many people don’t have land line phone lines in their home and in these cases, we recommend you purchase one of the Premium Packages with CellGuard, which operates over cellular signal. There are 2 reasons for this recommendation. Disclosure: Above opinion is my own opinion and I do not receive compensation to provide my opinion. My opinion does not reflect the opinion of Protect Your Home. Last updated on December 11, 2017. If you’re considering installing a new security systems, check out our current ADT Special Promotion.